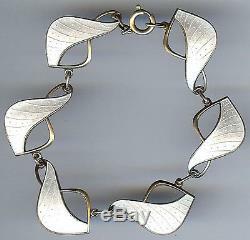 This lovely vintage pearly white guilloche enamel bracelet is signed with the HOLT hallmark and 925S STERLING NORWAY. 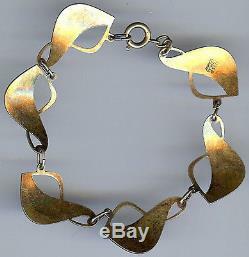 Measures approximately 7-3/8" by 11/16". The item "IVAR HOLT VINTAGE NORWAY STERLING SILVER PEARLY WHITE ENAMEL BRACELET" is in sale since Thursday, April 17, 2014.